Despite the pipes, the leaky roof, the furnace (did I not mention the furnace? apparently something’s wrong with the humidifier–someone’s coming tomorrow to work on it) the pipes again, it really wasn’t a bad week at all. And I have to say, working out and then running on the elliptical machine made me feel AWESOME. We’ve also been hanging out with some pretty awesome people lately and that’s making me really, really happy. FINALLY, I managed to get Rowdy in the background of one of my pictures. He’s always running around while I’m snapping these and I finally managed to catch him. He’s the small blur in the background. –Make freeze-ahead Cavatini Two of them! –Get up earlier than the rest of the family tomorrow, even though I have it off.This was another one of those “Just barely” moments, but I’m still counting on it. –Clean up Ariel’s room. And get it to stay that way for more than 5 minutes.I don’t think it stayed that way for long, but it’s better. 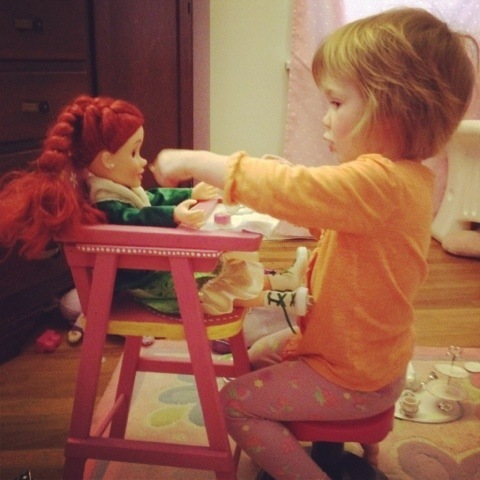 And because you’re such AWESOME readers, I leave you with this picture of Ariel’s first tea party with, well, Ariel. Previous WOW. Next Happy Birthday, Nephew! I wish we lived closet I could really use some of your motivation once Nolan is born. U r such an inspirational person! I need some of ur mojo, even just a little bit would be awesome. By the time I get done helping my daughter w her homework and reading, spelling, and vocabulary words I’m exhausted. I don’t know how u do all u do but I am inspired by you. I am going to do some laundry today, and think of the woman in Proverbs 31 the whole time. I have read those Scriptures many times but when reading ur blog along w her in mind it has helped open my eyes to understand those Scriptures about her even more. Keep in mind that my kids aren’t in school yet, so I don’t have homework and such to deal with at home!! I’m so glad you’re spending more time in scripture! I think it’s important to read it, but I think it’s even more important to process it and understand it, like what you were doing today!! As for “doing it all,” I don’t, I promise. Laundry piles up weeks at a time, then sits in baskets waiting to be folded, my husband cooks at least one night per week, and very often I stay up far later than I should working on this or that or just vegging out for the first time all day. Sometimes it takes my mind a long time to wind down. I appreciate your sweet comments, but I think all women deserve a pat on the back for all that we do! I look forward to seeing your weight-loss results! I’m also working on that little problem! 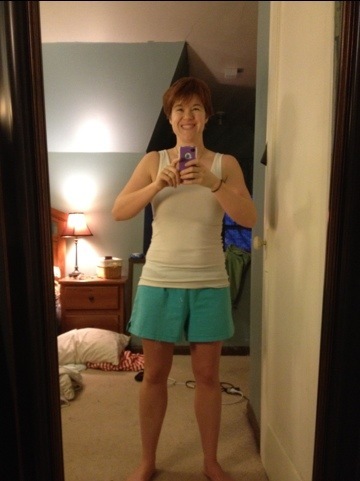 I’ve been using Slim in 6, but a week from this Monday, I’ll be using P90X. Should be interesting! 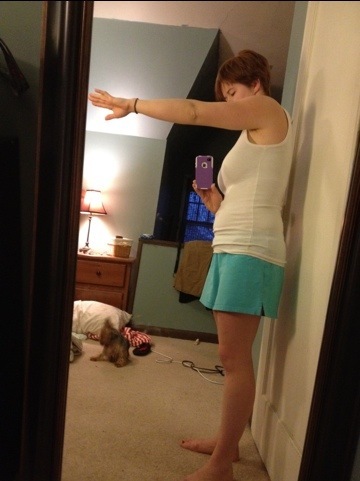 I’ve had great success with Body by Vi (http://carriedilley.bodybyvi.com/) for weight loss and now I’m using Biggest Loser on X-Box Kinect for toning! Congrats on achieving some goals! You look great! Good luck to you with all the home maintenance stuff.